Ceramic. 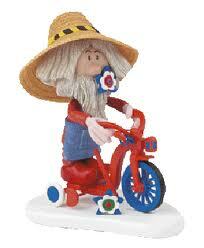 The Magic Roundabout Collection Name Plate plaque to display with your figures. Ceramic. Model of the Engine that pulled the Magic Roundabout train. Ceramic Model of Mr MacHenry - 2011 - Rare - MIB. 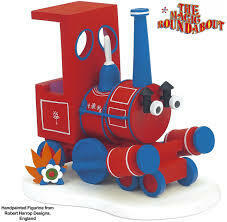 Features: Revolving roundabout, track pull along train, connect the seesaw to the blue circle and it moves slowly up and down while the circle rotates playing the famous theme tune. The packaging shows signs of age, wear and damage. The set has been played with so shows some signs of wear. One piece is broken but all the parts are present.